If you need capital to help your business to bridge a gap in funding, aid cash flow or help your business to grow then a simple business loan may be the solution for you. Business loans offer a quick and flexible method of accessing funding that can be secured or unsecured. We have taken a look at lots of business loan providers to help you see what some of the leading loan providers can offer you. The table below gives a quick price comparison of the top UK business loan providers. Some of the features and benefits of iwoca’s business loan. iwoca offers flexible credit solutions to small businesses in Europe. They focus on supporting smaller businesses that are often not offered the same opportunities as larger ones. iwoca does this to help businesses grow and they use technology to help them calculate risk and assess business performance and don’t just rely on traditional credit scores to make loan decisions. iwoca’s business loan offering allows customers to borrow between £1,000 and £200,000 through the completion of a quick online application. They make a decision and release funds quickly. Their loan is flexible and only charges interest for the days that you have the money. Customers can repay their loan early with no penalty and increase the loan amount up to their credit limit. Some of the features and benefits of HSBC’s business loan. HSBC is an international banking provider who offers its services to personal, business and corporate customers in the UK and globally. Their business offering is tailored to smaller businesses who they offer additional support to help them grow and develop. HSBC’s small business loan service includes the Small Business Loan and Flexible Business loan, which cater for different needs. Small Business Loan offers fixed payments for loans between £10,000-25,000 and the option to defer payment for the first three months. Flexible Business Loans offers fixed or variable interest rates for loans over £25,000. It also offers up to 24 months interest only and the ability to defer up to two monthly payments each year. Some of the features and benefits of Barclays’ business loan. Barclays is a well-established UK banking and financial services provider whose business services include a wide range of financial solutions. Barclays’ offer a wide range of different financial lending services such as cash flow finance, loans, mortgages, overdrafts and asset-based lending, all of which allows businesses to access funding. Barclays’ business loans are available to customers and non-customers depending on their circumstances. Loans are available from £1,000 up to £100,000 which can be unsecured loans that give you a flexible arrangement where you can fix the repayment length and whether it is fixed or variable. Some of their loans also offer repayment holidays and interest-only periods. Some of the features and benefits of Natwest’s business loan. Natwest is an established banking providing which is part of the RBS Group of banking and financial service businesses. Natwest serves businesses in England and Wales. Natwest offers a variety of lending services which include loans, overdrafts, mortgages, credit cards, invoice finance and asset finance. Natwest’s loan services include small business loans from £1,000 to £50,000 for periods from 1 to 10 years. Variable rate loans are available from £35,001 with payment terms from 1 to 25 years that offer flexible finance options. Fixed rate loans are available from £35,001 to £10 million and are offered on payment terms of 3, 5, 7 or 10 years. Some of the features and benefits of Lloyd’s business loan. Lloyds Bank is a banking and financial services provider who offers a range of financial lending services to businesses. They provide lending services to small business start-ups through to large businesses. They offer a range of loans, overdrafts, invoice finance and asset-based lending solutions. 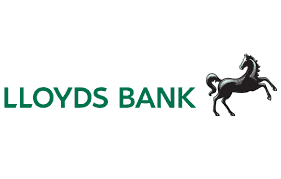 Lloyds Bank offers three loans which are a Base Rate Loan, Fixed Rate Loan, and Commercial Fixed Rate Loan. Their Base Rate Loan offers loans from £1,000 to £50,000 on terms up to 10 years and a variable rate that tracks Bank of England rates. Fixed Rate Loan offers the same loans but with fixed rates. The Commercial Fixed Rate Loan offers lending from £50,001 to £500,000 over 1 to 25 years on fixed monthly payments. Some of the features and benefits of Santander’s business loan. Santander is a well-known international banking services provider that offers a range of financial services to businesses which include borrowing solutions such as loans, asset finance, invoice factoring, and overdrafts. Santander offers a range of loans that suit different business and circumstances. Their small business loan offers £1,000 to £25,000 on repayment terms from 1 to 5 years. Working Capital Loans are available for up to £100,000 and are repayable within 6 months. The funding from Working Capital Loans can be received within 24 hours. Commercial Loans are available from £25,001 and there is no upper limit and they can be repaid up to 25 years. Some of the features and benefits of TSB’s business loan. TSB is an established bank in the UK and is part of a larger banking group called Lloyds Banking Group. They offer a wide range of lending services which include loans, overdrafts, mortgages and Enterprise Finance Guarantee. TSB has two loan products available for businesses which are a Base Rate Loan and Fixed Rate Loan. The Base Rate Loan is available for loans over £1,000 which are repayable over 1 to 25 years, and security may be required. Fixed Rate Loans are available from £1,000 to £100,000 that is repayable over 1 to 10 years and it can be a secured or unsecured loan. Arrangement fees apply on both loans and capital repayable holidays may be available. Some of the features and benefits of Metro Bank’s business loan. Metro Bank is a banking and financial services provider who operates differently to other banks with stores that are open seven days a week and no need for appointments. Metro Bank offers a range of borrowing services which include loans, overdrafts, credit cards, invoice finance and asset finance. They offer two types of loans, business loans and commercial loans. Business loans are split into loans above/below £25,000 that have repayment terms of one to five years. Those under £25,000 have a fixed interest rate with no arrangement fees. Over £25,000 will be tailored to the individual loan. Commercial loans are available from £150,000 to £25 million, these offer tailored rates and fees and are available over one to 30 years. Some of the features and benefits of Bank of Ireland’s business loan. Bank of Ireland belongs to the Bank of Ireland Group who offer a diverse range of financial and banking services businesses whose experience dates back to 1783. Bank of Ireland only provides business banking services to businesses in Ireland. Bank of Ireland has a single loan offering that is available to small and medium-sized enterprises for values from €1,000 to €120,000. Their loans offer flexible repayment terms and no arrangement fees. They tailor their loans to their customer’s needs and cash flow. Bank of Ireland offers unsecured business loans with a variable rate. They offer a simple and fast loan service where you can apply online and get a decision within 24 hours. Some of the features and benefits of Bank of Scotland’s business loan. Bank of Scotland is a part of a larger banking group called Lloyds Banking Group. Bank of Scotland structures its business offerings by their business turnover into three categories and tailors their business banking solutions to these business groupings. Bank of Scotland offers three levels of loans which includes Base Rate Loan that starts at £1,000 with repayment terms from one to 25 years. The Fixed Rate Loan is split into above and below £50,000, between £1,000 and £50,000 are available on repayment terms of one to 10 years. Loans over £50,000 can be fixed from one year to the length of the loan which can be up to 25 years. Some of the features and benefits of Ulster Bank’s business loan. Ulster Bank is one of the businesses that form part of the RBS group which includes Royal Bank of Scotland and NatWest along with other financial services businesses. Ulster Bank provides a range of business lending services that include loans, overdrafts, credit cards and asset finance. Ulster Bank offers a lending service to small to medium sized businesses and they specialise in lending money to agricultural businesses. The loan service is available to both existing and new customers, but existing customers can contact their relationship manager direct to arrange the loan. All loans have an arrangement fee that starts at £150 and is calculated at 1% above this level. Some of the features and benefits of Yorkshire Bank’s business loan. Yorkshire Bank is the trading name of Clydesdale Bank that was established in 1859 in Halifax, West Yorkshire. The bank has a strong background in business banking and offers a wide range of lending services that include several loans options, overdrafts and credit cards. Their loans include an online business loan with a fixed rate and speedy way to lend £10,000 to £150,000 that will give you an instant automated decision. Variable rate loans are available from £1,000. The flexible business loan is a variable rate loan that allows you to borrow over £25,000 and redraw overpaid funds if needed. Their business loan offering is a structured loan for £25,001 to £10 million with the option of a fixed or variable interest rate. Some of the features and benefits of Clydesdale Bank’s business loan. 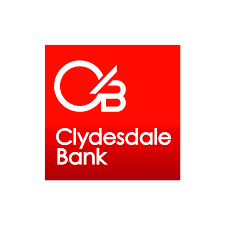 Clydesdale Bank is part of a group of banks that includes Yorkshire Bank. It operates only in Scotland with an established branch network. They offer a wide range of lending services that include several loans options, overdrafts and credit cards. Their loans include a Flexible Business Loan which is a variable rate loan that allows you to borrow over £25,000, and you can vary your repayments to meet your financial needs and redraw overpaid funds if needed. The Business Loan product is a structured loan for £25,001 to £10 million which can be based on a fixed or variable interest rate. The Term Loan is a loan product that can be a short, medium or long term which has a range of repayment options that vary based on the amount and term length. Some of the features and benefits of Funding Circle’s business loan. Funding Circle is a newly established financial services business that offers investors and borrowers greater support and better financial solutions by creating a funding mechanism to enable them to support each other. Their services are limited to business loans and investment options. Funding Circle offers fixed rate business loans to established businesses of all sizes. They offer loans from £10,000 to £1 million that can be repaid over six months to five years. They do not penalise their customers who repay their loans in full early and so they do not charge a fee or charge you interest on the remaining loan term. Some of the features and benefits of Esme’s business loan. Esme was founded in 2016 with the backing of Natwest who supported their development and they underwrite their business. They established the business with the aim to provide a fuss-free way of securing business funding that can help businesses grow. Esme only offers loans which they provide directly to businesses as well as brokers. They offer unsecured loans to businesses from £10,000 up to £150,000 over one to five-year loan term. Esme state that they give instant quotes and fast decisions on loans after customers complete their simple application form. Customers can also pay back their loan early and not be penalised by fees. Some of the features and benefits of Royal Bank of Scotland’s business loan. Royal Bank of Scotland is a well-established Scottish bank that was founded in Edinburgh in 1727 and is one of the biggest banks in Scotland. They are one of the banks and investment businesses that form the RBS Group which include NatWest and Ulster Bank. Royal Bank of Scotland offers a range of lending solutions which are designed to cater for businesses with a different turnover. Those with a turnover below £2 million are offered a small business loan which is a fixed rate loan from £1,000 to £50,000 which can be taken over 1 to 10 years. Businesses with a turnover above £2 million are offered a range of commercial loans which include fixed and variable rate loans which can offer loans of £35,001 to £10,000,000. Some of the features and benefits of Cooperative Bank’s business loan. Cooperative Bank is a UK finance provider that is an ethical bank whose policies are customer-led which guides how they run their business. Their ethical stance influences who can be their customers. They offer a range of lending facilities which include loans, overdrafts and credit cards. Cooperative Bank has two lending solutions the first is a standard loan for up to £250,000 which starts at £25,020, and the second is a corporate loan product. The first loan is a variable rate loan product which offers repayment periods of 1 to 15 years where interest is applied monthly. The second is a bespoke product which lends over £250,000 and further details can be found out by contacting their Commercial Relationship Manager. Some of the features and benefits of Fair Finance’s business loan. Fair Finance is a financial services provider that was established in 2005 that offers a range of financial products and services. They were set up to offer fair finance to all that is accessible and affordable and as such, they re-invest their profits. Fair Finance’s business loans are designed with small businesses in mind and they offer an experienced Relationship Manager to give you support. They offer loans between £25,000 and £75,000 that can be repaid over 6 months to 3 years. Fair Finance is transparent with their prices and allows businesses to repay their loan early without early repayment charges. Some of the features and benefits of Catalyst Finance’s business loan. 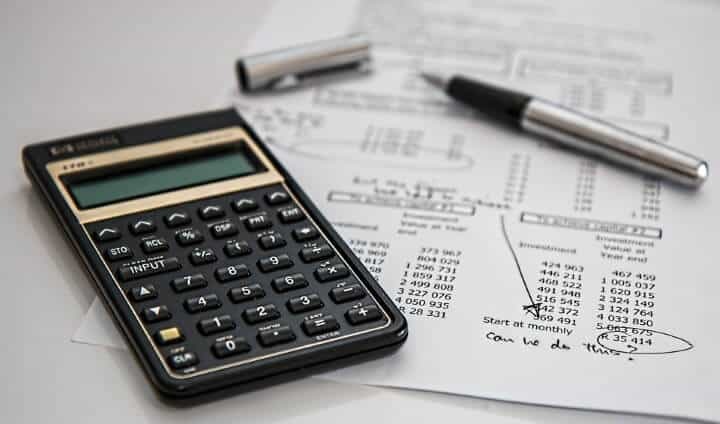 Catalyst Finance is a smaller provider of financial services solutions that cater their services to small to medium-sized businesses to help them access funding for short periods of time quickly and to only pay for the funds whilst they have it. Catalyst Finance offers two loans to business that are called Cash Flow Loans and Commercial Business Loans. Cash Flow Loans are available to businesses that have been operating for over a year and it offers loans between £25,000 to £100,000 for up to 1 year. The Commercial Business Loan is available to businesses that have been operating over two years and it offers loans between £50,000 to £1 million for periods between 3 to 12 months. Some of the features and benefits of Clearfunder’s business loan. Clearfunder is a small loan provider who was established to help small to medium-sized businesses to access funding to help them grow and survive in a challenging business environment and to provide an alternative to the traditional banking institutions for business loans. Clearfunder offers loans to small to medium-sized companies from £10,000 to £100,000 in most industries and they will consider all applications. They offer loans on flexible terms that allow them to tailor their loans to each individual company needs and financial position. They offer loans with easy to understand terms and provide dedicated support. Some of the features and benefits of Cubefunder’s business loan. Cubefunder is a small loan provider who understands small to medium-sized businesses as they are in that category as well and they know that even successful businesses need help. They set up the business to fill a gap in the market to provide a different service to smaller businesses. 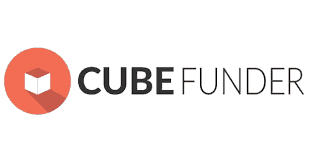 Cubefunder tailors their loan solutions to meet their customers’ needs and offer from £5,000 to £100,000 on flexible terms with a pre-agreed rate that can be extended if needed via prearrangement. They do not charge fees as standard for late payments and they do not penalise customers who repay their loan early. Some of the features and benefits of Fleximize’s business loan. Fleximize offer two loans which are defined as an SME loan and high-value loan. The SME loan offers loans from £5,000 to £500,000 for as long as 48 months as either a secure or unsecured loan. The loan is a flexible loan that has no penalties for early repayment, top-ups or repayment holidays. The high-value finance loan is for established businesses that need over £500,000 and they don’t specify a limit. This loan offers bespoke solutions to fit your business needs and will give you access to their network of investors and partners. As a high-value customer, you will also receive ongoing support from their senior management. Some of the features and benefits of Nucleus Commercial Finance’s business loan. Nucleus Commercial Finance offers three types of business loans which are Cash Flow Finance, Property Loan and Business Cash Advance. The Cash Flow Finance loan is available for loans from £25,000 to £150,000 which is offered as an unsecured loan that is repayable from three months to three years. Funding can be released as soon as 24 hours. Business Cash Advance enables businesses to access funding from £5,000 to over £150,000 against their monthly card volumes at a rate up to 125%. The Property Finance loan is available for loans from £25,000 to £20 million over a repayment period of up to seven years. Some of the features and benefits of rebuildingsociety.com’s business loan. 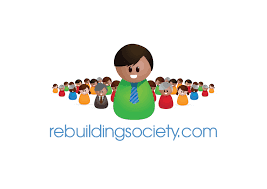 rebuildingsociety.com is a Leeds based peer-to-peer lending business that brings together lenders and borrowers to enable businesses to get a better loan deal. They encourage lenders to be more actively involved by inviting them to be ‘financial activists’ so they understand who they are lending to and their business. Loans are available from £25,000 to £300,000 for periods from six months to five years. Loans are posted within the community and lenders are able to ask questions and learn more about the business before committing to the loan. Borrowers can accept the interest rate offered or wait for lower bids from lenders. Some of the features and benefits of Sancus’ business loan. Sancus is an alternative finance provider that uses its marketplace to match lenders and borrowers to create a market that is desirable to both parties as they offer lenders above the current interest rates. They offer borrowers a range of financial services including secured cash flow funding and asset-backed loans. Sancus offer asset-backed loans from £250,000 and do not set an upper limit to their lending. They offer a service that is bespoke and they have specific financial offerings for developers. They underwrite their loans quickly to allow borrowers to have the security they need. Some of the features and benefits of Spotcap’s business loan. Spotcap offers an alternative financial solution to SME businesses who they provide tailored solutions to enable them to access funding quickly and simply. They offer unsecured loans and use technology to simplify the lender process rather than traditional credit scores, business plans and forecasts, as decisions are based on recent business performance. Spotcap offers loans up to £250,000 that can be repaid over periods between one month and two years. Loans are available to businesses that reside in the UK, have a minimum turnover of over £500,000, be profitable and trading for at least three years. Some of the features and benefits of Start Up Loans’ business loan. Start Up Loans is a government-backed support scheme that helps individuals to start or grow a business in the UK. They offer a low-interest loan that also provides business support in the form of business mentoring for 12 months from experienced advisers as well as providing a range of resources such as guides and templates. Start Up Loans offer loans up to the value of £25,000 which are repayable over one to five years with a fixed interest rate of 6%. The loans are fair and simple with no arrangement fees or early repayment fees and they offer pre-loan support to help you make the application. Some of the features and benefits of Ultimate Finance’s business loan. Ultimate Finance has been providing financial services for over 17 years and has funded thousands of businesses of a variety of shapes and sizes. They offer a range of financial products such as cash loans, hire purchase agreements, industry financing and supply chain solutions. Ultimate Finance loan facilities offer loans from £5,000 to £100,000 that are repayable up to 12 months. They offer a fast and flexible loan service which includes online eligibility checker, an online application that will give you a decision within one working day and funding will be released within one working day of the loan being approved. Loans also have no setup fee or early repayment fee.